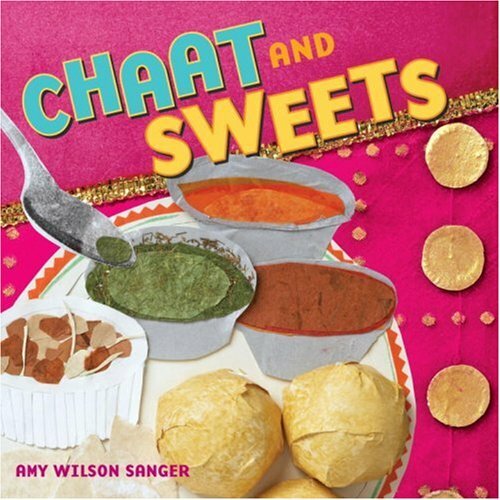 The 7th book in Tricycle’s World Snacks series introduces toddlers to Indian snack foods known as chaat. Scrumptious treats like bhel puri (rice puff salad), tandoori chicken, and sweet coconut cham-cham, look good enough to eat in Wilson Sanger’s gorgeous collage art, while her trademark bouncy text will please little ears. World Snacks books have sold more than 160,000 copies. Includes punctuation guide and glossary of Indian terms used in the book.